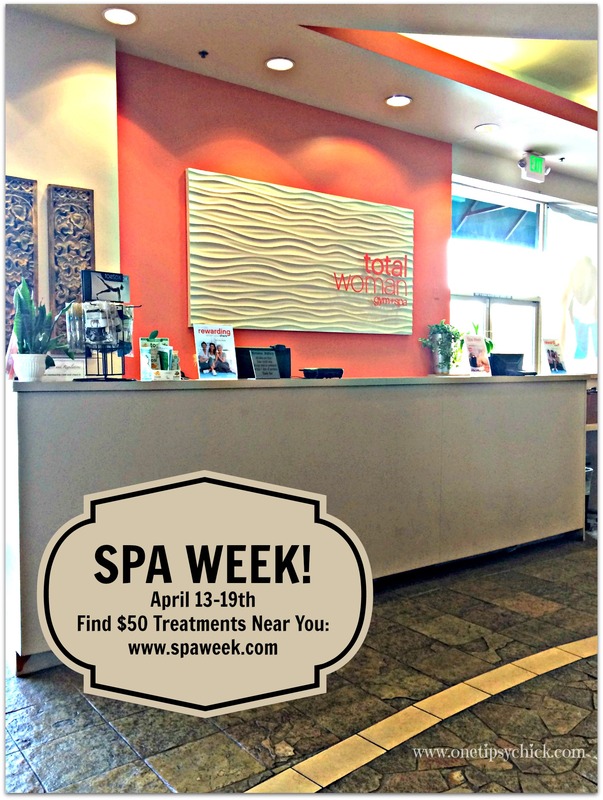 Spa Week begins April 13th and ends April 19th! During this week you can book fabulous treatments for only $50! How long has it been since you’ve taken time out for YOU? Here is a chance to enjoy a relaxing massage or facial at a special reduced rate. Take a friend, your mom, your daughter (Hint, Hint Mom!) or your significant other and pamper yourselves! To book your treatment, just go to the Spa Week website, enter your city & state (or zip code) and find participating spas in your area! When I arrived, I was greeted by a very friendly receptionist. She was kind, helpful and welcoming. I was offered a locker, which included a fluffy robe, towel and spa slippers. 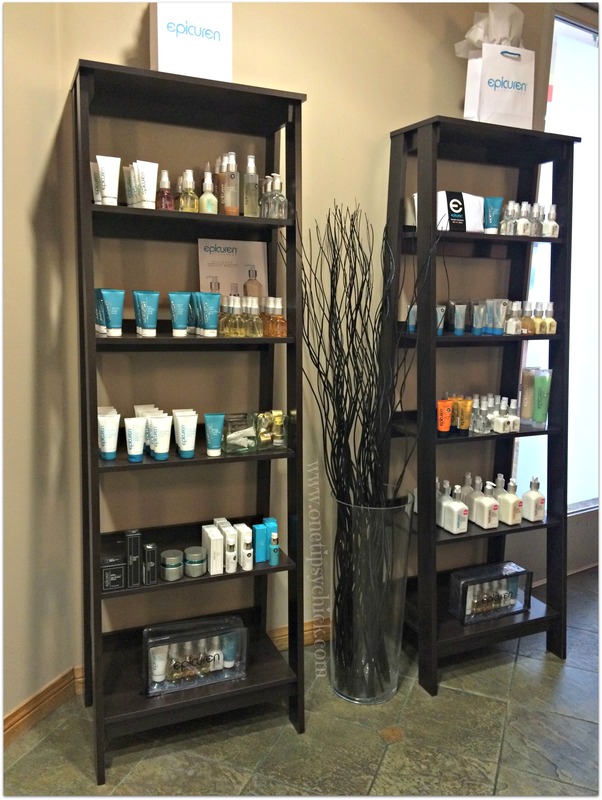 The reception area was serene and displayed the lines of the premiere skin and beauty products they carry. 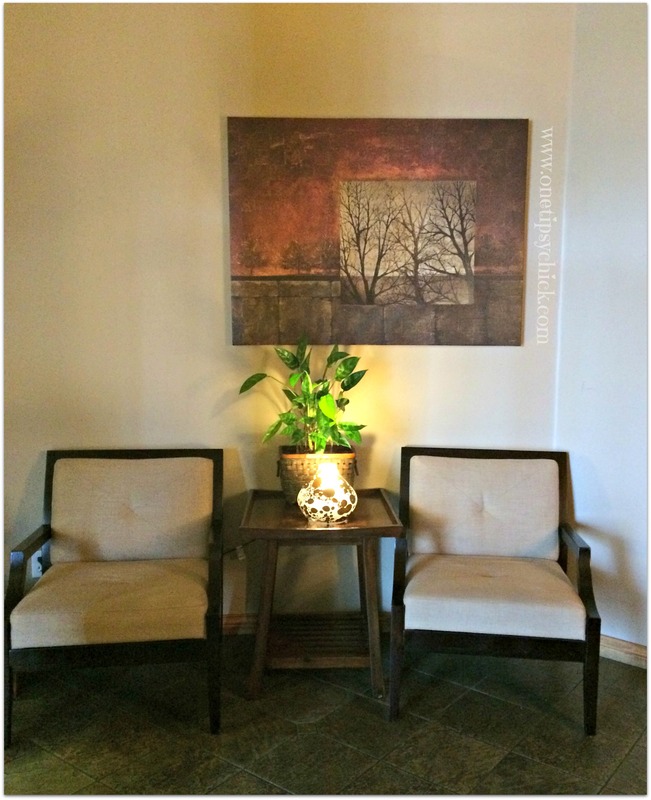 Once I changed, there was a quiet room available to relax in while I waited for my treatment. Water and snacks are available as well. The lighting was low and there were several chairs with soft pillows. Soon I was greeted by Erika, the aesthetician, who performed my Microdermabrasion Facial. 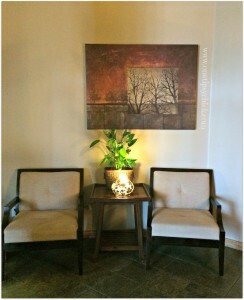 The room also had dim lighting and relaxing music playing in the background. The “bed” was warm and inviting. Erika put the warmer on which felt great and helped ease my sore neck and shoulders. We briefly discussed my current skin care regimen and whether I had any concerns that needed addressing. First she cleansed my face and then put the steamer on. I LOVE the feeling of the steam on my face. Its probably one of my favorite parts of a facial. Though Erika explained the next steps of the treatment, I admit that even as we chatted, I began zoning out because I felt so relaxed! She performed the Microdermabrasion treatment and then finished with a Vital C mask and moisturizer by Image Skincare. If you have the opportunity to try Image Skincare products, I highly recommend it. I have dry skin and the Vital C line is perfect for me! I love the way it makes my skin feel. Finally, was a neck and shoulder massage to complete my treatment. I was in heaven and my skin was glowing! In fact, it looked bright and dewy all day! I can’t wait for my next treatment! I had the option to stay and use the jacuzzi, sauna and steam room, but sadly, I had another commitment. I think next time I would come a bit early and use the jacuzzi and steam room first. Total Woman Gym + Spa has Fitness and/or Spa memberships and offers a full service gym, personal training, group fitness classes, a Pilates studio and child care! Afterwards, we spoke about skin care and I asked for some tips (of course)! 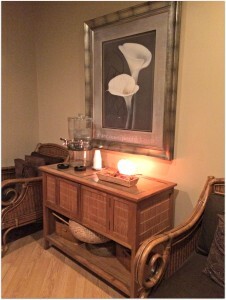 Erika was very knowledgeable about caring for your skin and was a wealth of information. Here are some recommendations regarding Microdermabrasion. For best results, Erika recommends monthly treatments. I told her that many moms just can’t or don’t take the time each month to pamper themselves. We compromised at a maximum of 3 months between treatments. Now we all have different skin and will get different results, so this is based on average skin, with no major issues. Her next recommendation was to invest in a good quality Clairsonic Cleansing Brush. (The knock-offs may not be as gentle on your skin) In addition, be sure to moisturize regularly and wear sunscreen every day! I haven’t been to a spa in such a long time. It seems to have such a relaxing atmosphere! This looks so inviting. I miss Spa time so much. Sounds like you had a very relaxing and informative time. I didn’t know there was such a thing as spa week but I think I’ll definitely look into celebrating! I love facials! I don’t get enough of them. I will be looking to see if there are any spa week specials in my area. Thanks for the info. I never heard of spa week before. This is great post and I’m going to have to see if they offer discounts for spa week in my area. There’s nothing like a relaxing spa day. I so need to get a facial! Thanks for the reminder of Spa Week! Didn’t realize “spa week”, that’s terrific… Actually, that is a good reminder that my husband bought me a spa pkg on groupon and I need to use it.. I need it, lol.. Great post! I’ve never been to a spa but it sounds like a great experience! I love Total Woman! After reading your post I think it’s time for spa day! I need to do this! I used to be an instructor at Total Woman, and never took advantage of my discounts!